The Davis Master Chorale is pleased to announce their 2018 Christmas Concert: Sing a Song of Bethlehem. 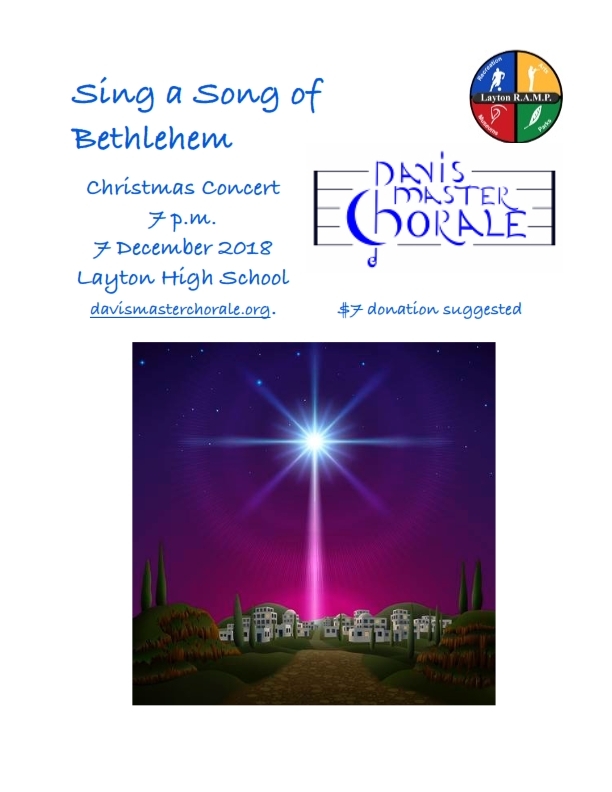 The performance will be held on December 7th, at 7:00 pm, in the Layton High School auditorium. The musical selections will include works from Dan Forrest, Mack Wilberg, Sally DeFord and many others. This will be a great opportunity for your family to usher in the Christmas Season.